There was a fine selection of gear with me on the recent overnighter & UTFWT 2.0 trip, and there was some gear that did well, and other gear that didn't. Here's a reanimation of those fine round-up posts of the past. You might want to check out the complete Gearlist here. Berghaus Mt. Asgard Smock: A Smock I have now had for close to a year, and have never really mentioned here - a wrong I need to right. A great Smock made of GT Pro Shell, it is very durable and an excellent hardshell for winter activities where you carry a bit more weight. Deep zipper, good hood & cuffs. Smartwool Midweight Hoody: A fine midweight merino hoody. Thumbloops, deep zipper, good hood, dries reasonably fast. GoLite Tumalo pants: I decided on some of my training trips to try the Tumalo instead of the Rab Drillium. I was positively surprised how much I liked it - it kept the wind out well, breathed superb and even when rolling around in the snow it kept me dry. 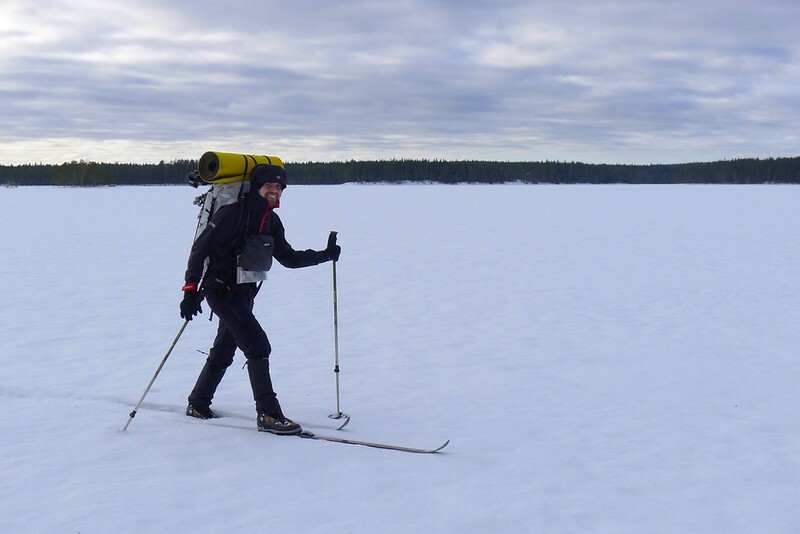 However, I might graduate to Softshell or EtaProof pants in the next season, as skiing on windswept lakes with wind-speeds of 15 m/s is mighty cold. Woolpower 200 long johns: For the low temperatures we had, the right choice. The 400er I have would have been appropriate if the thermometer would have gone under -10°C, but so I was happy to have gone for the less thick one. Woolpower garments still get two thumbs up from me, even if my long johns has developed a rather big hole in the crotch from the constant use it has seen over two years. Finisterre Zephyr Boxer Shorts: Love them, as you know. Extremities gloves + MLD Overmitts: After two years of use the Extremities gloves are starting to disintegrate, but even with a big hole in the one gloves' index finger I continue to use them. Warm when wet from falling in the snow or sweat, these Polartec gloves are my go-to gloves for winter activities. The overmitts work fine to add an extra layer for warmth and wind protection. MLD gaiters: Ach, I wish I would know when to get them on! A pain to get on when you would need them, too much if you don't need them. I think future pants will get a elastic string sewn in, to act as a gaiter. Bridgedale Coolmax liner socks + RBH Designs Vapr VBL Socks: I think I have found a very good sock combination for me for cold weather skiing activities. Mind that the Vapr sock does let moisture through, so isn't a VBL sock like those from other companies. After a days skiing both socks would be soaking from sweat, but I never had cold feet. Julbo Dolgan Sunglasses: Mandatory. Still fog up sometimes, but better that than glistening sun and snow. Skis, boots & poles: The Komperdell BC Trail poles are the weak link here, or their snow baskets, to be correct. A completely bad design, one broke after two day's skiing in -30°C last year, and the other one showed that even mild temps of -5°C are too much for it too handle. Give that the pole doesn't stay collapsed in the smallest (transport) setting, which is highly annoying if you're climbing up ridges, I'm off looking for better poles. Skis & boots continue to be superb, and I wonder why I ever bothered with snowshoes. BPL Cocoon pants + Hoody: The pants are superb, the hoody as well, but for sleeping and if it is windy (so pretty much always except I sit in my shelter) the Loke has the better hood. Beautifully warm for their weight. And I managed to not get any burned holes in them, despite having had them out well over 30 nights. Win. Klättermusen Loke: Probably the best down garment I own - I just wish it would be slightly lighter and have more down. An awesome hood which keeps the wind out, warmth in, the kangaroo pocket is perfect to store a meal while it is rehydrating, this is a great down pullover. GooseFeet Gear Down Socks: A revelation for people who want warm feet in bed. Super comfy, they warm up immediately and keep my toes warm all night long. Black Rock Hat: A nice hat for camp and sleeping, though I found that the Loke's hood does the job for me for both of those situations. Too warm for me when skiing, I think I will use it in colder temps and less strenuous activities than skiing. Exped Synmat UL7: Total failure. While the mat worked at home and testing on day trips perfectly fine, on its first real outing, the 24 Overnighter, it let me down. Deflated in minutes, it was useless. Back to the manufacturer. Multimat Summit XL: Happily I always carry a CCF mat in winter, because you can't really trust inflatables. Warm, dependable, yellow and light, my go-to mat in winter. Only shortcoming: Packsize. Therm-A-Rest Z-Lite: Two segements, one of four, one of six, make for a sweet comfy bedding at night and good sitting during the day. Same shortcoming than the Multimat. Katabatic Gear Sawatch: I was wondering if it is too warm, but it was fine in the mild temps. I maintain that Katabatic Gear quilts are for me the best quilts money currently can buy, and look forward to get a summer quilt from them. 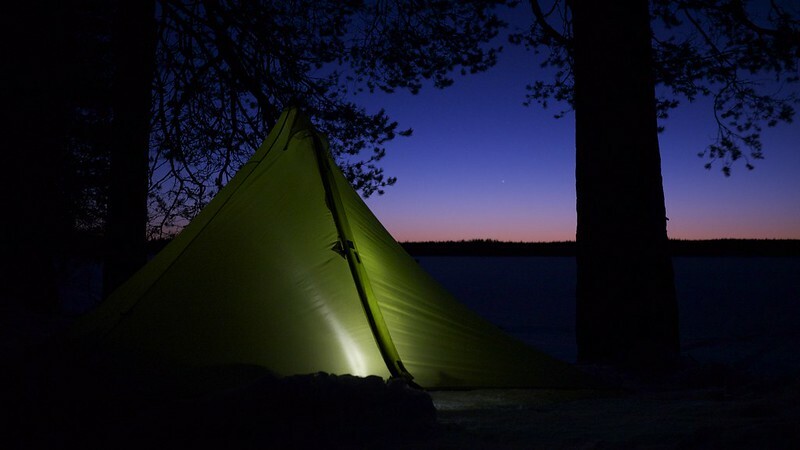 BPL Vapr Bivy: I usually use a LAUFBURSCHE Tyvek bivy in winter, as tyvek breathes so well. I decided to give the Vapr bivy a try in winter, as its minuscule packsize and weight were just too tempting. To my astonishment, the Pertex bivy from BPL works just as good in winter as in summer (at least in these mild temps), so it will see more action in the coming winter. LOCUS GEAR Khufu Sil: I'm in love. While I have used tarps in winter in the previous years, I found the Khufu a better shelter for winter conditions. It is faster to pitch as it is less fiddly, more stable in exposed camps, sheds more snow and is more protected. It is also an awesome colour. The ventilation port could be too small when pitched low, but on my trips it was always fine. 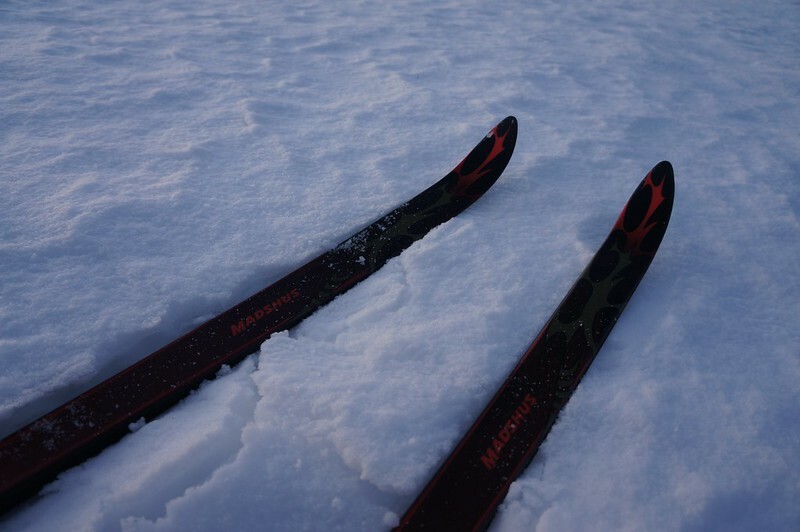 Toughstakes: Good, but not as easy to use as the MSR Blizzard snowstake. They're also not as rigid as the Blizzards, and weigh more. I will continue to use them and see if I can find situations where they excel/ work better than the Blizzards. MSR Blizzard: The best commercial snowstake I know. HMG Porter: A new backpack! A wonderful design - no extras, as basic as possible. Carries well, though I think for long winter trips the slightly bigger Expedition would be better, although I do get kit and food for a week in it comfortably. It is waterproof in snow, so no extra bag for quilts would be required, I'd say. ZPacks Multi pack: As the Porter has no external pockets the Multipack is a great companion for it. I can carry my camera, an extra lens, a bottle of water, snacks, phone, wallet and keys in it, and have some room to spare. It also acts a bit as a counterweight to the backpack, and allows me to have the things I need during the day ready at hand. Waterproof and the zipper can be opened with one hand. Overnighter Stove - MSR Reactor: After heating up the gas under my jacket it worked very nicely. Can't say how much it consumed, but the MSR is a compact, good stove which works well in low temps, thanks to its innovative technology. Expedition Stove - Primus OmniLite Ti: With the EtaProof 2,1 l pot a great setup to melt snow, and a lot of it. One 220 g canister was sufficient for inverted use for four days, melting about 19 litres of water over four days. Maybe overkill for the mild temps, but a good test to see realistically how much gas it uses. Kupilka 21: Took a tiny bit of damage as I was cleaning it (note: don't hit them on wood to clean them out in cold temps), still my preferred kuksa. Fenix HP10: Heavy, lots of light, and didn't function 100% in the cold. This late in the winter a Petzl eLite probably would have been sufficient. For deep winter, if it works perfectly, a great headlamp which allows you to make the night a lot lighter. Mind, this is a system which works for me in Finland, taking my metabolism et al. into account. Your needs in winter might be different, so be careful and don't take risks. Want to learn how to go safely & lightweight in winter and do a trip next season here? Contact me. Got a question or comment about some of the stuff? Recommendations what I should try? Leave a comment!